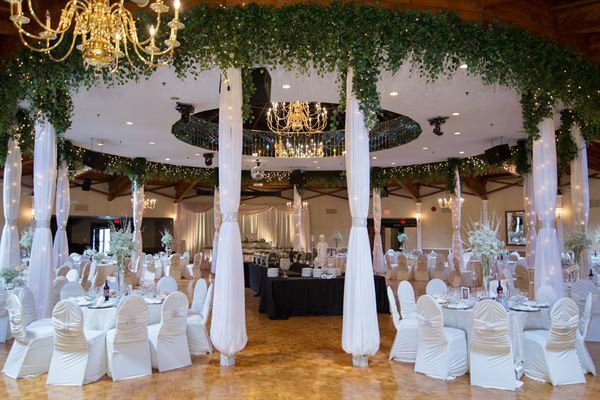 Le Dome is a high quality prestigious banquet facility. We will cater to any of your special occasions, be it a wedding, social party or corporate event and will make it into a fantastic experience for you and your guests to enjoy. Angelo’s Room is a lavish circular room ornamented by roman style columns, and lovely skylights. This room will take your breath away upon entering and will have you leaving with an everlasting impression. Caterina’s Room is an intimate room perfect for Weddings, bridal showers, stags, birthday parties, anniversaries and any other corporate and social events. Jeana’s Room is a lovely room adorned by the ceiling. Jeana’s room is very versatile and can accommodate a large range of events. I cannot believe the level of service we were given at Le Dome. The staff is unbelievable. Le Dome is a family run banquet hall offering 3 different rooms to accommodate different sized parties. Our reception was held in Jeana's Room, the middle-sized room. The decor of the place was just gorgeous. Very 1700's French style. We didn't end up purchasing and decorations for the hall; it was just perfect without a back drop behind the head table, without any swags, without anything! The floors are all wood, there's a beautiful selection of linens and linen upgrades, and the ceiling is the best part! In Jeana's room, there is a black, domed, glass ceiling with little cuts in it. When you walk under it, it looks like millions of crystals. There's over 12 chandeliers, as well, which add to the gorgeous 1700's feel and look. They recently re-modeled the front entrance for Jeana's Room, so that's a bonus. Although, it was gorgeous before anyways. The food was plentiful. People were overfed! They book you in for a sampling for some of the main dishes, so you do get to know what you're ordering for your guests. Great food, amazing service, and a stunning hall!